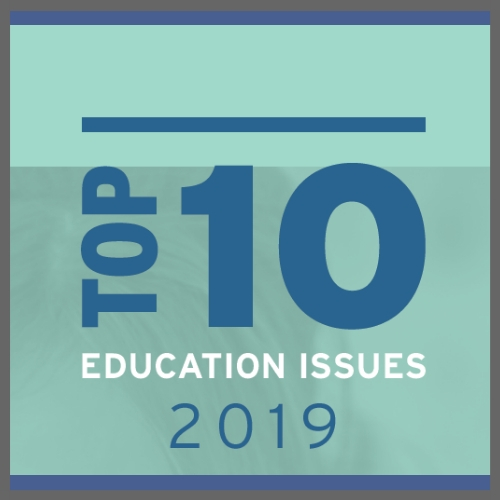 This week on Education Matters we welcome two educators who are making news. First up is Leigh Kokenes. She’s a School Psychologist in the Wake County Public Schools System and was recently named the National School Psychologist of the Year. We’ll talk to Leigh about role of a school psychologist and what our students and schools need. 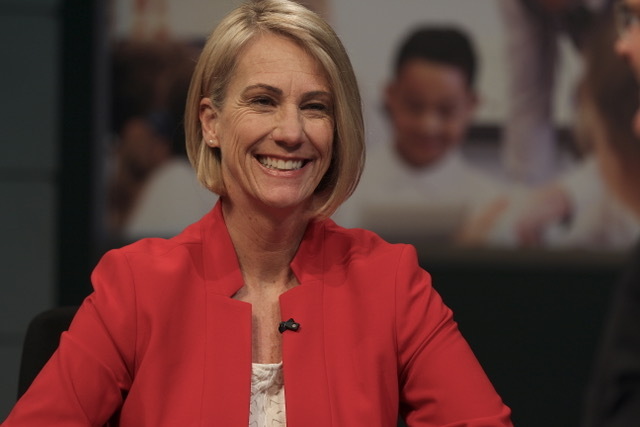 Then we’ll continue our series of State Superintendent candidate interviews by welcoming Dr. Jen Mangrum. 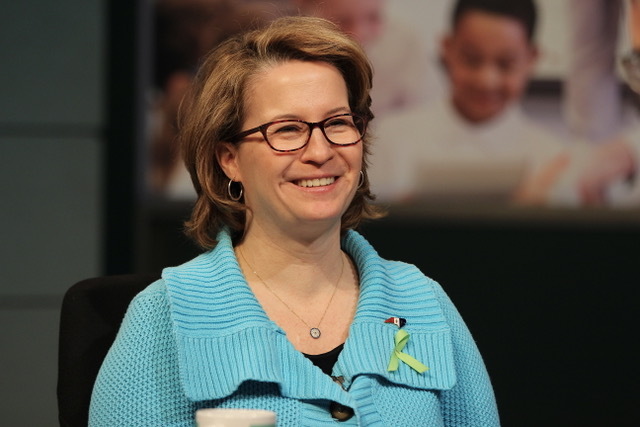 She’s a professor in teacher education at UNC-Greensboro who last year ran a high profile campaign for the State Senate against Senate President Phil Berger and is now running for State Superintendent of Public Instruction. 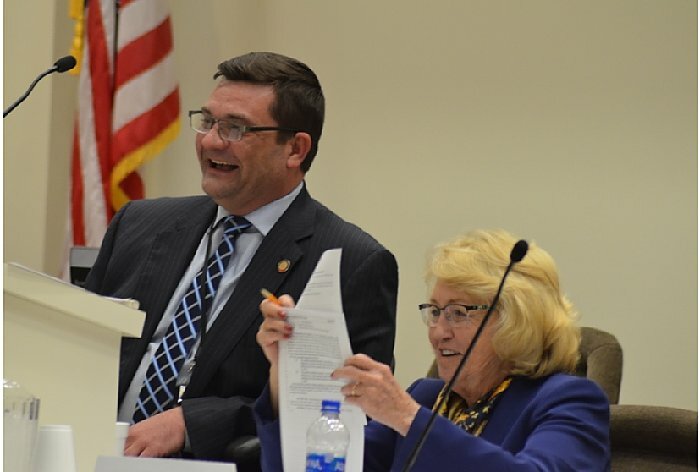 Rep. Jeffrey Elmore and Linda Johnson chair the House K-12 education committee.Photo Credit: Alex Granados, EducationNC Photo. The House K-12 committee tackled the ever-present issue of what to do with the state’s school performance grades today. A suite of bills in the committee focused on the formula that makes up the grades, the grade scale used, and the definition of low-performing schools which stems from the grades. All of the bills in committee today received a favorable vote from the lawmakers and will go now to the House rules committee. Granados, A. “House education committee tackles school performance grades.” EducationNC. 3/19/19. Harper, A. “School board weighs pay cuts.’” Rocky Mount Telegram. 3/20/19. A trio of House members who voted last week for a school bond plan backed by Speaker Tim Moore announced a competing proposal Tuesday to avoid borrowing money for school construction and rely instead on the regular state budget, much like Senate Republicans have proposed. Sponsors said the plan would raise some $6.5 billion over 10 years, split between K-12 schools, community colleges, state agencies, universities and a rural broadband initiative. “We do not have to mortgage our children’s future while building them the schools they need today,” Rep. Dean Arp, R-Union, said in a news release announcing the plan. Fain, T. “House members roll out competing plan on school construction.” WRAL. 3/19/19. Sen. Dan Blue addresses the press to talk about Senate Bill 247. 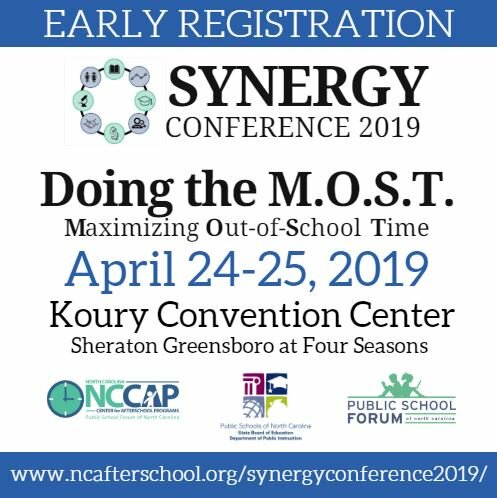 Photo Credit: Rupen Fofaria, EducationNC. 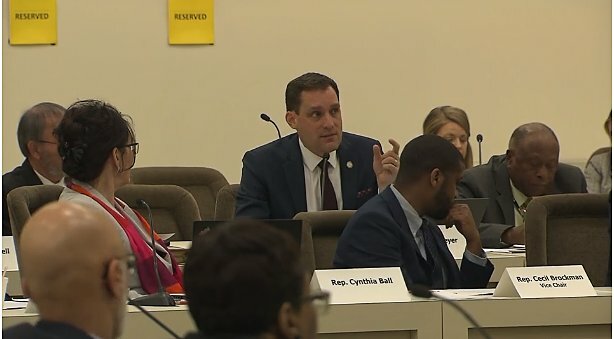 Following his filing last week of a bill aimed at studying and, at least temporarily, capping the number of public charter schools, Senate minority leader Dan Blue, D-Wake, formally introduced his legislation and spoke about accountability and transparency yesterday. 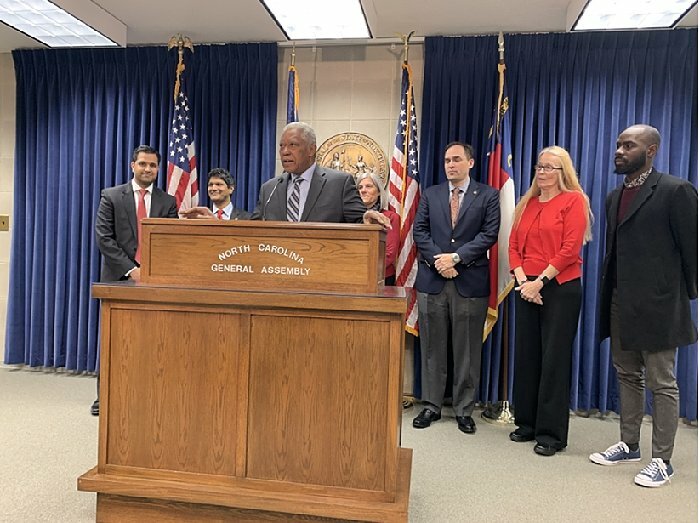 Blue was joined by his co-sponsor on the bill, Sen. Jay Chaudhuri, D-Wake, and school board members from Wake and Durham Counties. 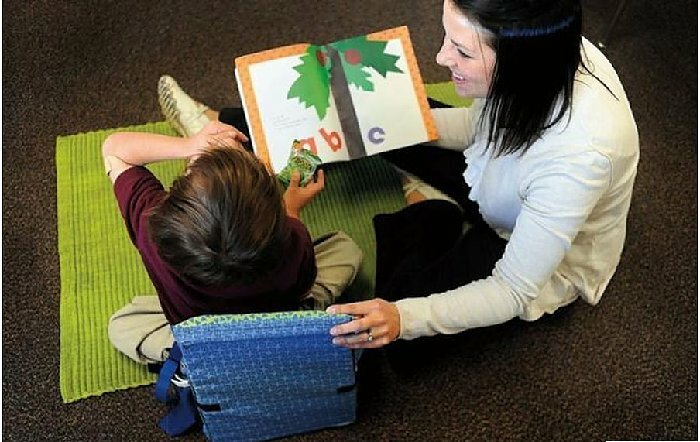 State education leaders are turning to N.C. State University for help improving the reading skills of young children by providing more than $12 million to a program that works with elementary schools in high-needs school districts. N.C. State’s College of Education announced Monday that its Wolfpack WORKS literacy initiative had received a three-year, $12.3 million grant from the state Department of Public Instruction. 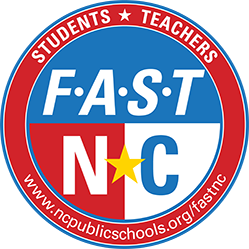 The money will allow N.C. State to expand the work that it began last year to train beginning K-2 teachers in 16 North Carolina school districts. Hui, K. “NC State gets $12 million from NC to help elementary school students read better.” The News & Observer. 3/18/19. North Carolina could become the 32nd state to ban corporal punishment in public schools under a bipartisan bill that passed the House K-12 Education Committee unanimously Tuesday afternoon. House Bill 295 would remove corporal punishment – paddling, hitting and so on – from the state law setting out permissible forms of discipline in public and public charter schools. It would not apply to private schools. Leslie, L. “Bill would ban paddling in NC schools.” WRAL. 3/19/19. 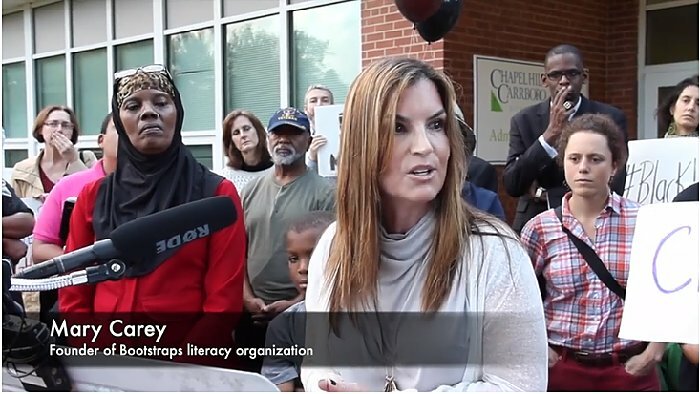 Mary Carey, founder Bootstraps literacy organization and Chapel Hill mother of two boys, one, black, one white, speaks at Campaign for Racial Equity. Photo Credit: Mark Schultz, The News & Observer. The local NAACP says the Chapel Hill-Carrboro City Schools is losing ground on racial equity and not including the community enough in recent decision making. “Right now, our school district feels a little bit like it’s in crisis,” said Wanda Hunter, co-chair of the Chapel Hill-Carrboro NAACP’s education committee. According to the most recent Racial Equity Report Card from the Youth Justice Project, white students in grades 3 through 8 in the Chapel Hill-Carrboro district were 2.9 times more likely to be “college and career ready,” meaning on track based on standardized testing, than black students in the 2017-18 school year. Polk, S. “How can Chapel Hill-Carrboro schools improve racial equity? Some say they could listen.”The News & Observer. 3/15/19. UNC Charlotte’s Cato College of Education trains the teachers, principals and counselors of the future. In August, UNCC will extend its reach by opening its own public elementary school, Niner University Elementary. 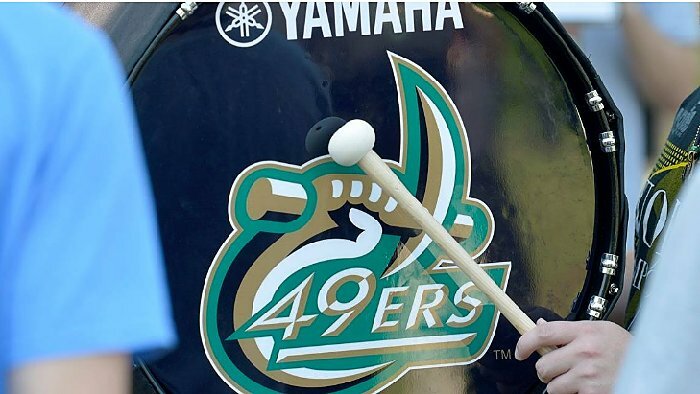 Photo Credit: Diedra Laird, The Charlotte Observer. UNC Charlotte’s Cato College of Education trains the teachers, principals and counselors of the future. In August, UNCC will extend its reach by opening its own public elementary school. Niner University Elementary will become North Carolina’s sixth “lab school,” and the first in Charlotte, under a 2016 legislative initiative aimed at teaming UNC system universities with students at low-performing public schools. Henderson, B. “UNCC takes teacher training to a new level: Opening its own elementary school.” The Charlotte Observer. 3/14/19. When I think back to my days in elementary school, I still remember reading “How to Eat Fried Worms” in second grade, dissecting a cow’s eye in third grade, and mastering long division in fifth. These lessons do not just make elementary school interesting (OK, I never found long division interesting), they set my classmates and me up for success. Because of these early lessons, we were better able to tackle more sophisticated novels, understand the functioning of other organs, and grasp higher-level mathematics. Although most educators understand the value of layering and building on core competencies, for some reason these same principles seem overlooked in how we train our future cadre of school teachers. Elementary teachers need a foundation of core knowledge they can draw upon to teach their students. Unfortunately, though, teacher prep programs do little to ensure aspiring elementary teachers learn the core content they need to thrive in their careers. 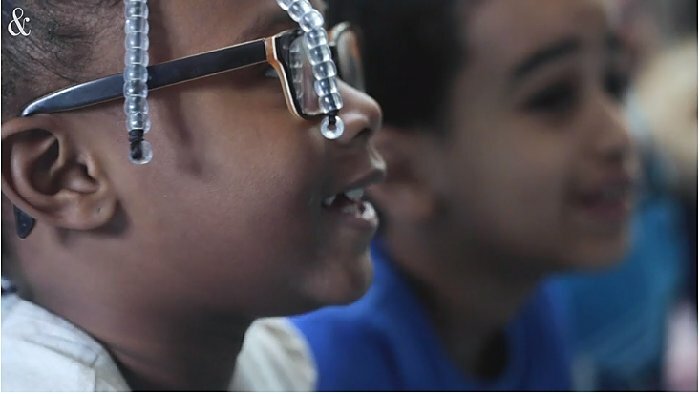 For over a decade, teachers across the country have used the classroom crowdfunding site DonorsChoose to buy instructional materials, take their students on field trips, and stock up on basics like pencils and tissues. 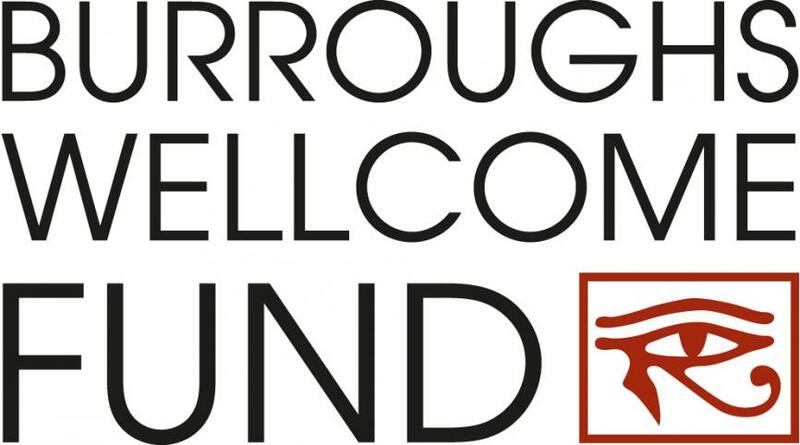 But as teacher-led crowdfunding grows ever more popular, school leaders are starting to voice concerns. Administrators say they have no way of knowing whether the instructional materials and technology flowing into their schools through individual teacher requests are aligned to district standards. They also worry the decentralized process will make it hard to monitor how money is distributed among schools. As a result, some districts—including, most recently, Metro Nashville Public Schools—have banned their teachers from using DonorsChoose and other sites over the past few years.